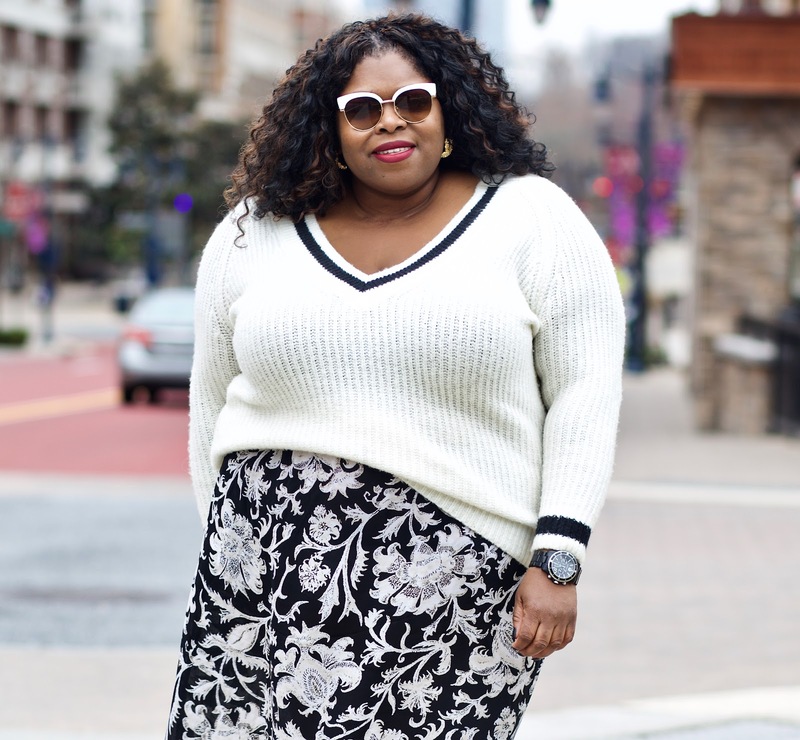 I'm used to mixing prints with fun, colorful patterns (example). Going the black and white route marks a nice switch up. Also while getting this post together, I realized that hey, mixing black and white prints together is not only an easy task but easier to appreciate. Because, mixed prints isn't everyone's taste. 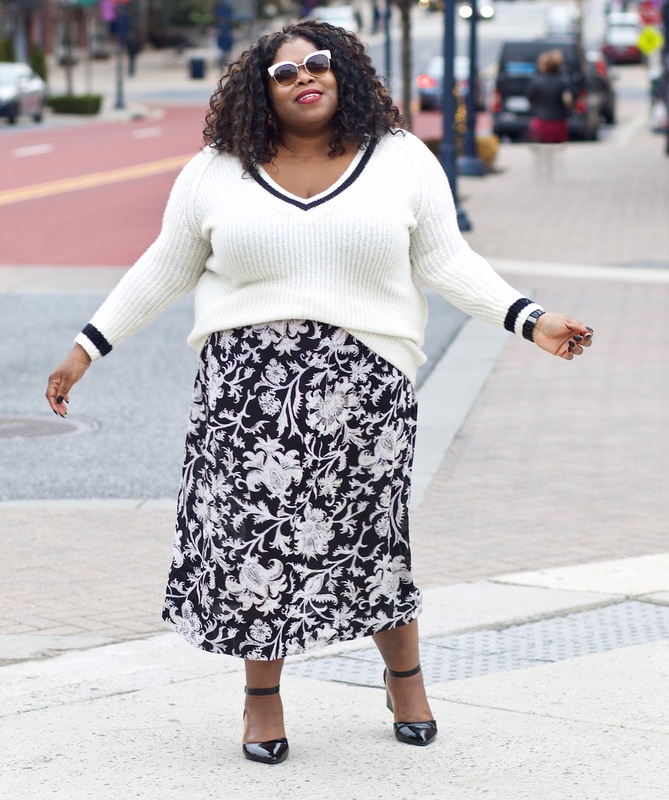 Also, I like the contrast between a textured sweater and a chiffon-like midi skirt.